NOTE: Canadian institutions may choose to set their own internal deadline to receive supporting documentation. Description: The Canada-CARICOM Leadership Scholarships Program provides students and researchers from the Caribbean Community (CARICOM) with short-term exchange opportunities for study or research, in Canada, at the college, undergraduate and graduate levels. 1. Funding for Canada-CARICOM Leadership Scholarships is made available by Global Affairs Canada through its legal title: the Department of Foreign Affairs, Trade and Development (DFATD). 2. The Canadian institution will receive funding from DFATD for all successful candidates (students and researchers) in the form of a contribution agreement and will be responsible for providing the funds to scholarship recipients. 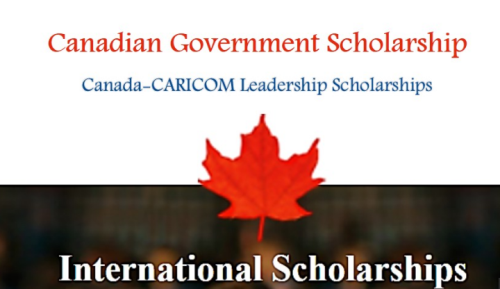 Now that all the information about Canada-CARICOM Leadership Scholarships Program has been delivered nicely; talented students who are eager to pursue their Free Tuition/Scholarships/Study in Canada for Undergraduate, Bachelors, Postgraduate, Masters, PhD, Associate Degree and Other Degrees, can apply now.